By Latinos Stand Upp Podcast. Discovered by Player FM and our community — copyright is owned by the publisher, not Player FM, and audio streamed directly from their servers. Cutting it up from the Central Valley, DJ Fredo. Bringing you some new Daddy Yankee mixed with some hip hop to spice up your Tuesday. Make sure to turn the volume up and lets turn uppp. 124 episodes available. A new episode about every 14 days averaging 41 mins duration . 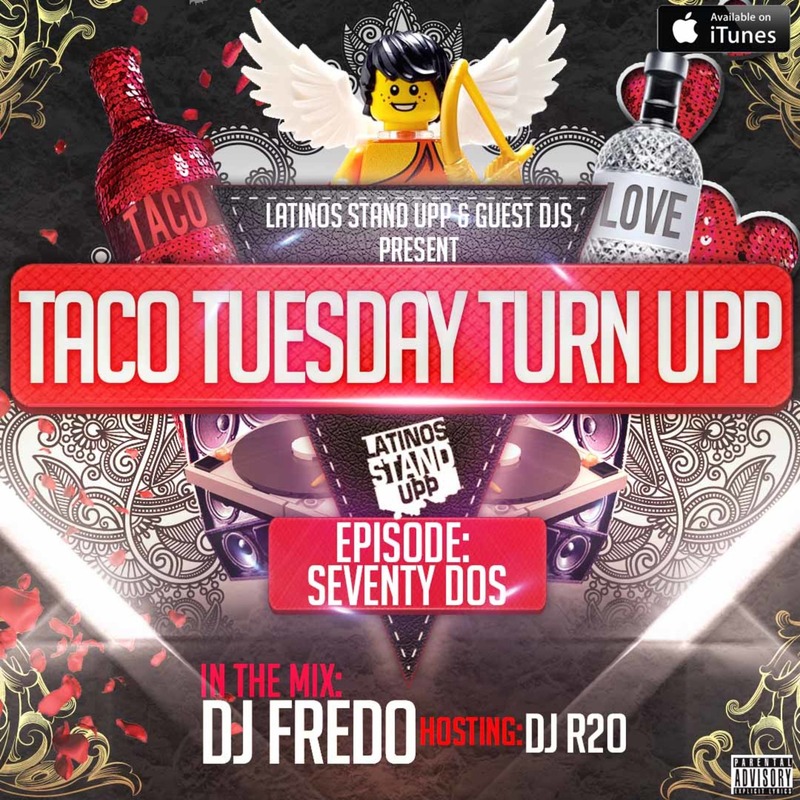 The homie DJ Fredo @eldjfredo is back in the mix this week with some new Hip-Hop to get your Turkey Day poppin! DJ R2O @dj.r20 holds it down on the mic! Stay tuned for your mixes and shoot us your requests for future mixes! IT'S NOVEMBER AND THAT MEANS TURKEY TACOS! ON EPISODE 65 WE FEATURE FOR THE FIRST TIME ON THE SHOW DJ OZZY WITH A DIVERSE SET FOR ALL YOU MUSIC LOVERS. https://www.instagram.com/djrene9/Had to bring back DJ Rene Castillo for Episode 60 for some fuego mixes to keep those heads boppin and feet moving! WELCOME BACK EVERYONE! THIS WEEK WE HAVE DJ LUIS DOMINGUEZ BRINGING THAT LATINO HEAT! DJ KAY RICH HOLDS IT DOWN ON THE MIC LIKE ONLY HE CAN DO! AS ALWAYS YOU CAN CATCH OUR PAST MIXES TOO! Start listening to Latinos Stand Upp on your phone right now with Player FM's free mobile app, the best podcasting experience on both iPhone and Android. Your subcriptions will sync with your account on this website too. Podcast smart and easy with the app that refuses to compromise.